While many future borrowers spend countless hours shopping around for the best APR, there are so many other things to keep in mind. A home renovation loan can be exciting, but you should do some research before jumping in. We’ve put together four simple tips for you to consider before signing any official paperwork. If you are looking for a home improvement loan rather trying to finance your remodel with a home equity line of credit, your credit score will become much more important. Since you are trying to borrow money without any type of collateral, the lender will consider it to be a much bigger risk. This means they may not lend as much, or they decide not to grant the loan at all. Most lenders will not consider the application of a potential borrower with a credit score below 650. While you may not be able to improve your credit overnight, getting started will be worth it because a better credit score will save you so much money in the long run. Even if a borrower can get a loan with poor to average credit, they may find themselves paying a 30 percent APR or more. Excellent credit usually guarantees some of the best home renovation loans. A borrower should never take the first offer that they receives for a potential home renovation loan. It is always wise to shop around and compare terms and conditions, and learn how to get a great rate. For example, most prospective borrowers have no idea that the Department of Housing and Urban Development offers the FHA title 1 loan, an unsecured loan up to $7500 for first time home buyers, specifically for home remediation and repairs. And, many do not take the time to compare home improvement loan versus refinancing their mortgages, which is another popular choice. Many prospective borrowers tend to stay with what’s familiar. If they already have a relationship with a lender, they assume that they should patronize the same bank for their home renovation loan. However, a lendee should never assume that they are getting the best loans without shopping around. Remember, there are always smaller credit unions to peruse in addition to larger banks. Borrowers should never limit their options. It is always best to estimate the precise amount that is needed for a home renovation project, and only borrow enough to cover the costs, and some inevitable surprises that may arise. Banks are well known for approving loan applicants for much more than what is necessary, and this is how many borrowers get in over their heads. It is crucial that the monthly payments stay at a comfortable, affordable figure for prompt repayment without late fees. This should be kept in mind when extra money is being dangled in front of a borrower at the signing. If a potential borrower is shopping for a home renovation loan, then that means that their project is a bit out of their everyday budget. That being said, it is in their best interest to seek a remodel that will eventually pay off for them in the long run. For example, a new bathroom or an upgrade to an older kitchen will pay off in the event of that house being sold. It will add value to the home and will increase the overall profit of a future sale. However, adding a separate laundry room or a home office may not be everyone’s cup of tea. This should be kept in mind if only one project can be completed at a time. 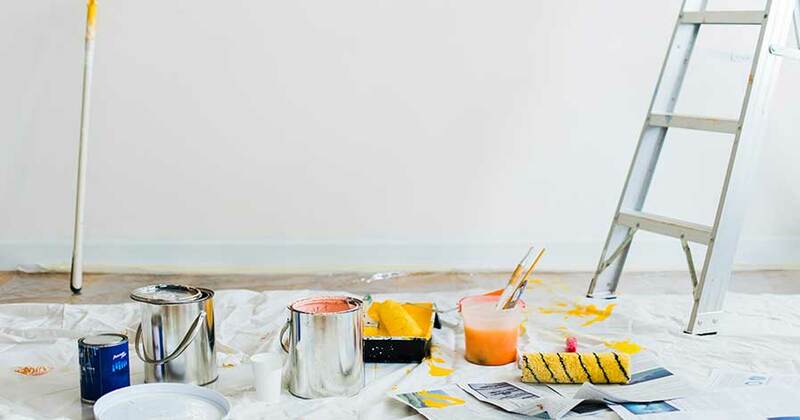 There are many things that a potential lendee should keep in mind before applying for a home renovation loan. The best loans are those that can be paid back on time, in reasonable payments, and allow the homeowner to add value to the property. Whether that is a home renovation loan, a home equity line of credit, or a FHA title 1 loan, or you are comparing a home improvement loan versus refinancing, you should always keep all of your options in mind. Your Very Best: Should You be Taking Vitamin Supplements?